Hauptman, Laurence M. Utah Anti-imperialist: Senator William H. King and Haiti, 1921-34. Utah Historical Quarterly 41 (Spring 1973): 116-27. Libby, Justin H. Senators King and Thomas and the Coming War with Japan. Utah Historical Quarterly 42 (Fall 1974): 370-80. Ruotsila, Markku. 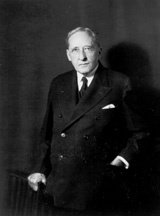 Senator William H. King of Utah and His Campaigns Against Russian Communism, 1917-1933." Utah Historical Quarterly 74 (Spring 2006): 147-163. Schlup, Leonard. William H. King and the Question of League Membership." Weber Studies 14 (Fall 1997): 84-92.